Happy Sunday! I’m loving this time year and the longer days. We love getting outside when we can and were a little bummed out that our plans had to be put on hold on Saturday because of the drizzly weather. We had planned on berry picking at the Temecula Berry Company. We had the best time last year and can’t wait to do it again. Berry season kicked off last Friday, April 24th and continues on until June. Plan your picking because you don’t want to miss it! 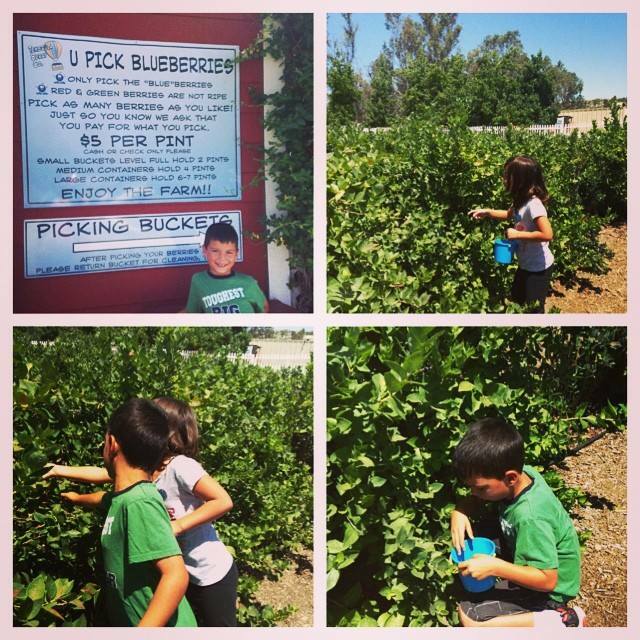 This entry was posted in fun adventure, Garden and tagged Blueberries Southern California, Blueberry Picking in California, Temecula Berry Company. We all have a face that we hide away forever and we take it out and show ourselves when every one is gone. Some are happy, some sad, some angry and some mad. Be true to yourself always. Our picks for April include several films of characters that tried to be someone other than themselves, only to realize that by being true to who they really are is the best way to be. Are there any movies we didn’t think of? My daughter is a fourth grader and studying California history. She recently finished learning about the California Mission System and is now learning about the Gold Rush. She’s enjoying learning about the Gold Rush and how it transformed California into what it is today. She had mentioned that her teacher had shared that there was a mining experience in Pala and that she could receive extra credit if she was able to visit. We were looking for something fun to do Saturday morning and decided to head South to the Pala Reservation for a fun outing. We packed a bag with some bottled water and were on our way! 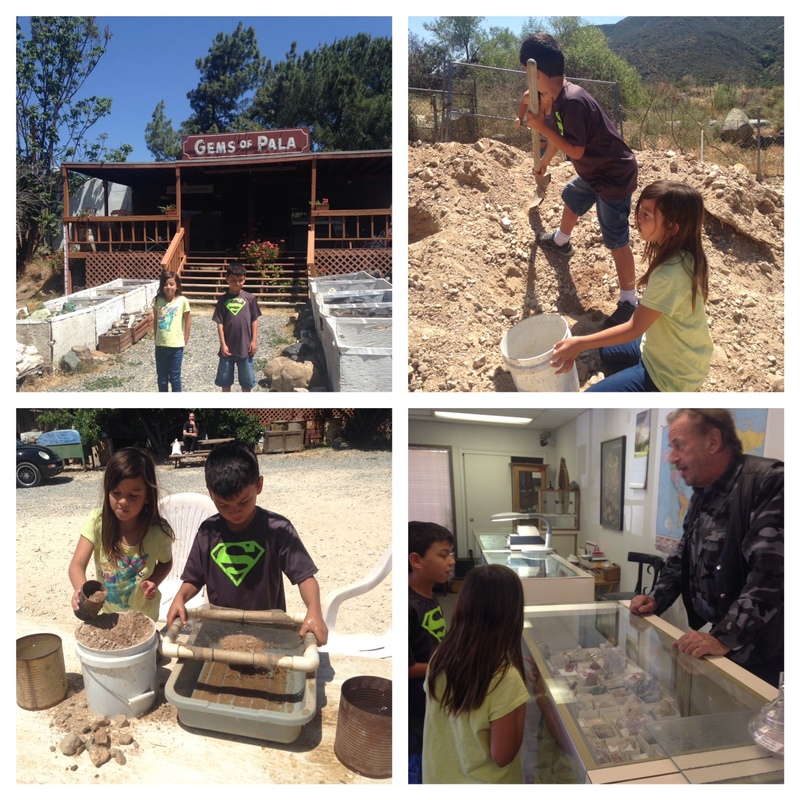 Gems of Pala is located off Hwy 76, and a mile and a half East of the Pala Casino. You drive off a small dirt road and find yourself at the gates of Gems of Pala. We arrived at 11am and ready for some adventure. We walked into the office and were greeted by the owner Blue, who is very friendly and knowledgeable. You pay $20 cash(Cash is only accepted) for a bucket and Blue(the owner) shares about the different gem stones that can be found and what you should look for. We grabbed our bucket and were on our way. We were led to the tables where another nice gentleman explained how to dig and what to look for. The kids were so excited they almost couldn’t contain themselves. We only bought one bucket, which was the perfect size for two kids and one adult. If you have more than three kids, you might consider buying two buckets. The kiddos filled their bucket and proceeded to sift the dirt away on one of the few tables. It took about an hour and a half to sift through and find our hidden treasures. We can’t wait to do it again. We spent almost three hours there and had a blast for $20. I can’t remember the last time $20 bought us so much fun! Now that we’ve visited, here are some of the things we won’t be forgetting to make our visit more enjoyable. Bring Cash. There are no ATM’s around except in the casino and you don’t want to have to backtrack. Get there early. It fills up quickly. Be prepared to get a little dirty. Brig a hat to help beat the heat/sun. Plan accordingly and have a great time. Gems of Pala is only open Friday to Sunday from 10am to 4pm on Sat/Sun and 11am to 4pm on Friday. This entry was posted in Uncategorized and tagged Gems of Pala, Minin in Southern California, Pala.